If your iPhone 6 plus is freezing and you are not able to fix it, don’t worry, I am here to help you. Here is some real fix if iPhone 7 is not working properly and it is freezing. When an iPhone is freezing, it means you are not able to send any message or make any in the mean time because when it freeze , it stops working. Normally iPhone 6 or any model of iPhone freeze when iPhone get overloaded by apps or your iPhone’s iOS is not updated to a latest version. However, iPhone is one of the best phones in the world but no one is perfect in this world. Every one has some fault in it. So that’s what happened to the iPhone. iPhone is very famous because its performance is better than other phones. In this article, I have mentioned some real fix of iPhone is freezing or not working properly. There are many ways to fix iPhone’s freezing which are mentioned below. So just follow the following step to fix iPhone’ freezing. I have started with the basic cure to hard reset. If one method doesn’t work, just try another to fix iPhone’s freezing problem. Let’s start to fix the problem. If you iPhone freezing or stuck on, just follow the following method to fix it. If your iPhone 7 has stuck on or freeze and you can not do any work on your iPhone, this first way to fix freezing screen of iPhone or iPad. Just restart your iPhone by following the following steps. First of all, just press the wake up/ sleep button until the Apple logo appears on the screen. Now your device has switched off. Now press again the wake button until the Apple logo appears on the screen. Now if you have resolved the problem, you have solve the problem but your iPhone is not restarting or it is not waking up, just move on to second method to reset your iPhone. If your iPhone is not waking up or being unresponsive, you have hard reset but first of all, you have to make sure if your iPhone is fully charged or not. To check if it is charged or not, just plug in iPhone. If your iPhone is fully charged and yet it is not starting, you have to hard reset it. To hard reset it, follow the following step. First of all, Make sure if your iPhone is fully charged or not, start to hard reset it. Press Sleep/wake up button and home button at the same time at least for 10 second or until the Apple logo appear on the screen. Now your iPhone will wake up or take you on slide to power off mode. If you are still facing the iPhone freezing problem and above method doesn’t help you to solve freezing problem. just move on to next method. Read Also: How to fix iPhone not turning. Sometimes iPhone screen freeze took place because we have opened any apps that doesn’t support in our iPhone or it is malfunctioning. So if it is because of that app we have to close that apps. If once close that app your phone will start functioning like before. So let’s close that app which causes the iPhone freeze. It is very necessary to close that app. To close all open apps, follow the following steps in your iPhone. first of all, unlock the iPhone using your touch Id. Now double click on home button. Now your screen is started to show all open apps of your phone. Now click on the clear all apps. Now you have clear all apps of your iPhone. If any malfunctioning apps causing the iPhone screen freeze, your phone will start well functioning now. If it is doesn’t work in your iPhone and your iPhone screen is still freeze, move on to another method. This is a time taking process. So if iPhone is still freeze and it doesn’t respond, you have to follow the steps and restore your iPhone. Restoring will make your iPhone all new and eliminate all software bugs of your iPhone. It will also remove all your saved data. So first of all, you have back all your data and then start restoring of iPhone. To restore your iPhone you have to connect your iPhone with iTune. You can also back iPhone by iTune. So to back up and restore your iPhone, just follow the following steps. Open iTune in your Pc or Mac. Now you have to connect your iPhone to your Pc by USB cable. Now select your iPhone which appears in iTune. Now select restore back up iTune and look at the data and size of each back up select most relevant. Now click on the restore. It will take time to restore your iPhone. So just waite until the iPhone get restore. Connect your device with iTune until your device restart and sync. Now your iPhone has restored. Now check your iPhone if it is freeze or not. If your iPhone is still freeze, perhaps it is a hardware problem. Just go to the Apple care and told them about your problem. They will definitely solve your problem. If your iPhone is in warranty period go to Apple care without thinking a little bit. Now Your iPhone is not freezing and it is functioning well. If your iPhone is still freezing, after following the above method, just go to Apple care because it is a hardware problem. If you think Apple care will charge more, you can go to third party repair but if your iPhone is in warranty period, just go to Apple care. If your iPhone is facing any other software problem, just comment below and tell us about your problem. We will surely help you. Thanks. 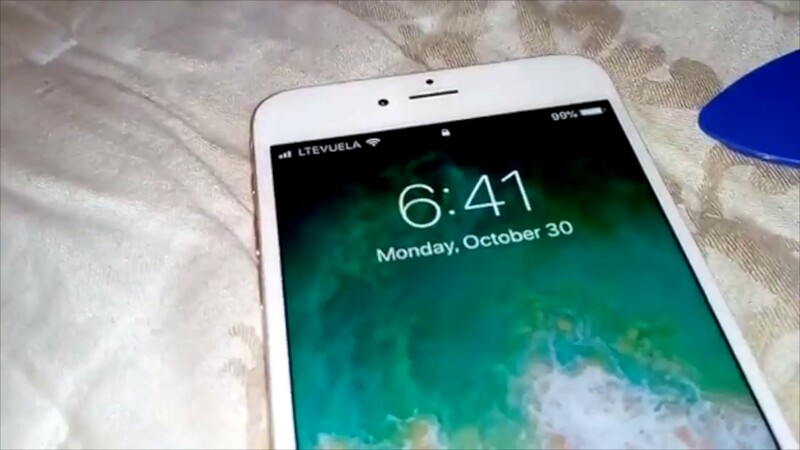 This entry was posted in Best iPhone Tips and tagged how do i get my iPhone to stop freezing, How to fix iPhone 6 freezing problem, How to fix iPhone X freezing problem, iPhone 6 freezing a lot, iPhone 6 freezing after update iOS 10, iPhone 6 freezing and crashing, iPhone 6 freezing and glitching, iPhone 6 plus screen freezing, iPhone 6 screen unreponsive, iPhone 7 freezing and crashing, iPhone 7 freezing and unresponsive, iPhone 7 freezing problem, iPhone 7 plus freezes up, iPhone 7 plus freezing after update, iPhone 7 plus freezing and crashing iOS 11, iPhone 7 plus frozen screen, iPhone 7 plus hanging problem, iPhone 7 update frozen screen, iPhone 8 freezing and crashing problem, iPhone 8 freezing problem, iPhone 8 freezing up, iPhone X freeze, My iPhone 8 keeps freezing on November 28, 2017 by Shubham Pandey.